The Colorado weather has listened and is finally agreeing to acknowledge it’s the spring Season. Now that it’s warmer out and we can enjoy the great outdoors, it’s time you find out 9 Things to do in Colorado this Spring! Hiking in the Spring is a special treat in Colorado. Not only do you get to enjoy the beautiful Colorado scenery, you also get to witness exotic wildflowers in the process. 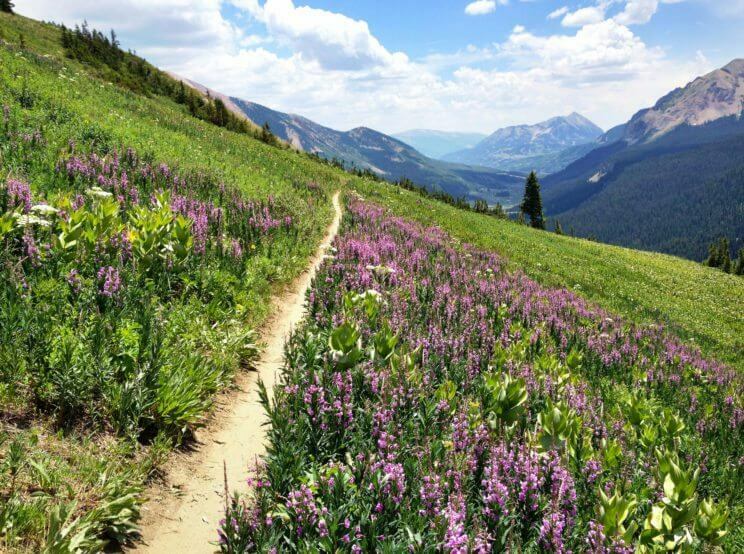 There are many wildflower trails you can enjoy but the most notable one is located in Crested Butte. Crested Butte, in Gunnison County, is known to be the “Wildflower Capital of Colorado”! Wildflower valleys can be viewed along the Lupine Trail, that stretches 3.5 miles but can be hiked one way with a shuttle from the other end if you get tired, as well as along the Meridian Lake Trail, that also features a beautiful lake where you can jump in the water when it gets too hot! If you want to go on a wildflower hike closer to Denver, then try the Willow Creek Trail in Roxborough State Park. The Willow Creek Trail is a loop that stretches 1.4 miles known for its abundance of wildflowers and is also a great place to do some bird watching. If you have yet to try white river rafting, then you are missing out on one of the most exhilarating activities you can enjoy during warm weather in Colorado. White river rafting is usually done on 16′ raft boats that hold up to 8 people and a guide. All the people on the raft are expected to paddle and the guide navigates the waters and maintains control. There are many levels of difficulty to choose from when booking a white river rafting experience. The levels range from Class 1–Class 6, with Class 1 being the easiest and 6 the most difficult. There are many areas in Colorado that offer white river rafting. Colorado Adventure Center offers rafting on Clear Creek River, Blue River, Arkansas River and Colorado River. White River Rafting LLC is a company that is located in Glenwood Springs and offers rafting on the Colorado River with an option to experience the Shoshone Rapids in Glenwood Canyon. 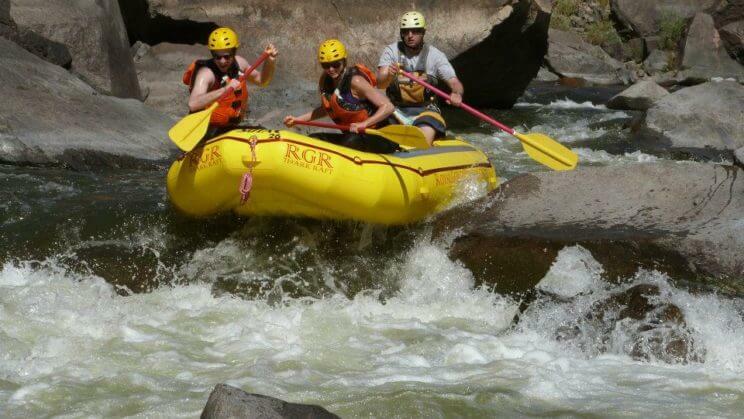 If you want to experience rafting in the Royal Gorge, you should check out Echo Canyon River Expeditions that offer calm scenic expeditions through Big Horn Sheep Canyon as well as more experienced and fast-paced rapids through Royal Gorge Canyon. Hot springs are produced by the emergence of geothermally heated groundwater that rises from the Earth’s crust. Hot springs can hold more dissolved solids than cold water and have very high mineral content. These minerals are to believed to offer natural health treatment options for various common ailments. When you bathe in a hot spring, your skin soaks in these minerals and your hydrostatic pressure rises, which causes circulation and oxygen flow to increase. This oxygenated circulatory system is beneficial in keeping not only your heart, but your body’s other vital organs and tissues, healthy and strong. There are many natural hot springs in Colorado. The most known ones are in Glenwood Springs at the Glenwood Hot Springs Resort or the Iron Mountain Hot Springs. 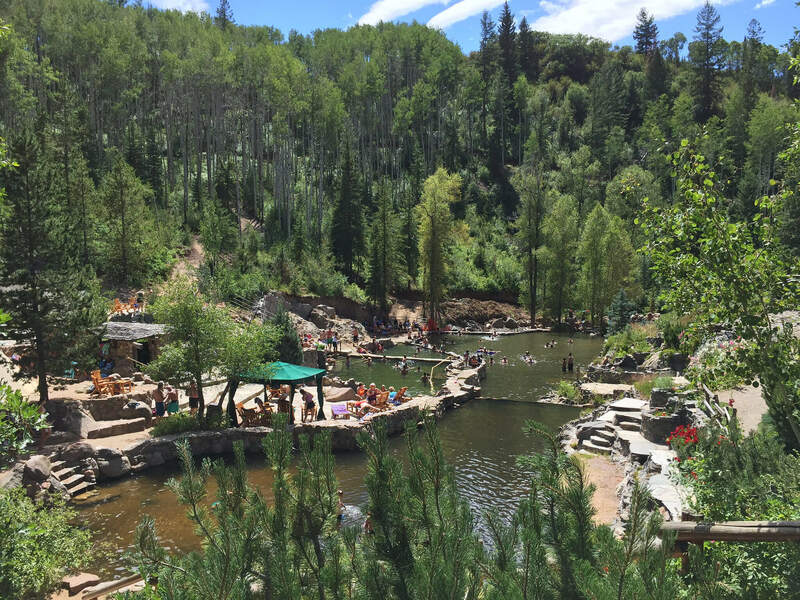 However, there are many other hot springs in Colorado you should know about, such as the Strawberry Park Hot Springs and the Old Town Hot Springs in Steamboat Springs, the Indian Hot Springs in Idaho Springs and the Hot Sulphur Springs Resort & Spa at Hot Sulphur Springs. If you are interested in a list of all 27 hot springs in Colorado, check out Visit Colorado‘s “27 Colorado Hot Springs: A Quick Guide“. 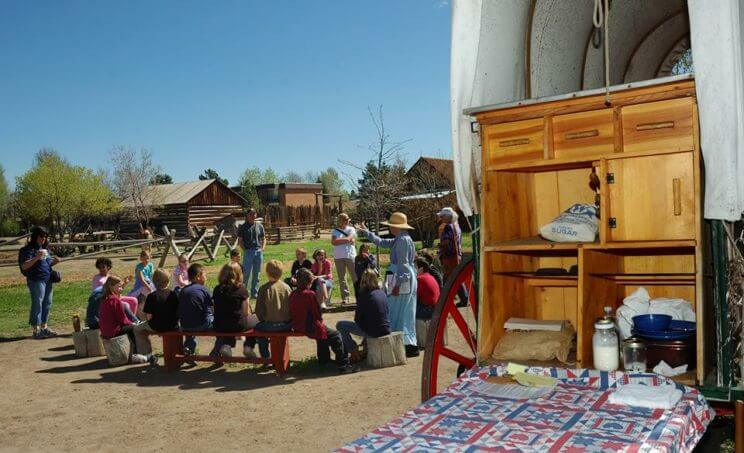 Did you know that just 4 miles from downtown Denver is a place that transports you back in time? Don’t wait for a time machine to be invented, just visit the Four Mile Historic Park. The Four Mile Historic Park is on 12 acres that includes the Four Mile House that was built in 1859 as a homestead. The Four Mile House is now documented as the oldest standing structure in the City and County of Denver. The Museum then interprets the western rural heritage and environment of Colorado with surrounding buildings such as an old school house, a farm, teepees, barns, a blacksmith shop, a root cellar, a miner’s and trapper’s cabin, a windmill and live animals. Visitors can tour the grounds, have a picnic and re-enact the pioneer life of the late 1800s or they can take guided tours. 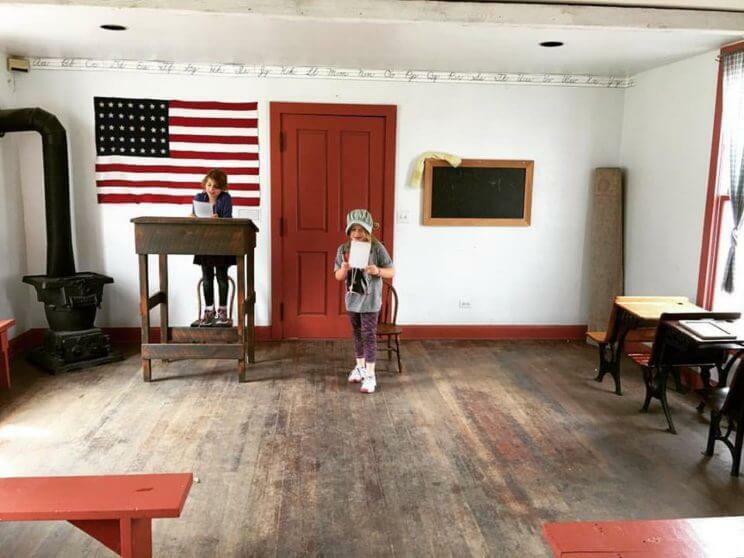 The Four Mile Historic Park also hosts several special events throughout the year as well as hosts birthday parties where a costumed Four Mile Historic Park staff member leads the children through their three chosen activities. Four Mile Historic Park is located at 715 S Forest St, Denver, CO 80246. Everyone knows the Denver Zoo, but have you heard of the Wild Animal Sanctuary? 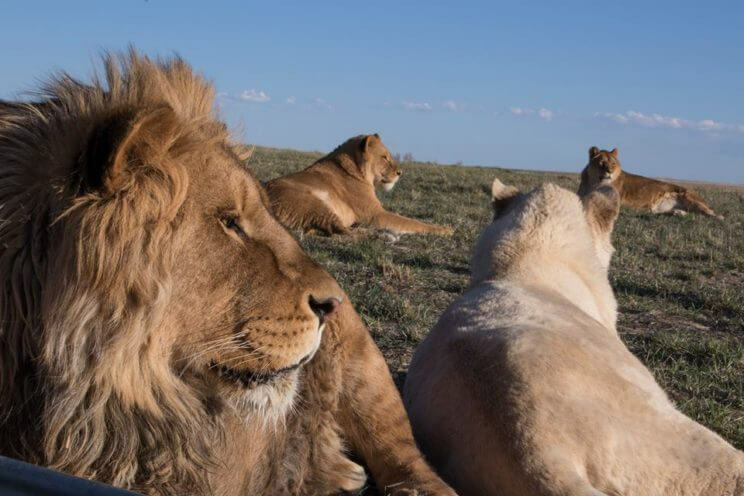 The Wild Animal Sanctuary, located near Keenesburg in Colorado, sit on 720 acres and shelters more than 290 Lions, Tigers, Bears, Leopards, Mountain Lions, Wolves and other large carnivores. It is the first sanctuary of its kind to create large acreage species-specific habitats for its rescued animals. The sanctuary allows the animals to roam on large spaces and provides the animals with expert care and rehabilitation, exceptional diets and enrichment. All the animals are large carnivores that have been rescued from abuse, abandonment or that have been illegally kept or exploited. That means that all the animals in the sanctuary have never been bought, sold, traded, or mistreated in any way. The Wild Animal Sanctuary offers private group tours for individuals and small groups. Your two hour tour starts at the Welcome Center and wraps up in their breathtaking Bolivian Lion House. Each step of your journey you’ll be accompanied down their Mile Into The Wild Walkway. The tour will be held with one of their Animal Ambassadors, getting an insider’s understanding of the animals their stories and their lives before and after rescue and the Sanctuary’s daily operations. Tours are available 7 days a week during regular visiting hours – but must be booked 48 hours in advance. If you would prefer to tour the sanctuary at your own pace and without a guide you may do so by making a donation of $30 per person for adults, $15 per child (ages 3-12) and free for children under the age of 3. The donation goes to cover the cost of your visit, and then they ask you make a donation of some kind that can go straight to the animals’ care. The Wild Animal Sanctuary is located at 1946 County Road 53, Keenesburg, CO 80643. Old Colorado City, previously named simply Colorado City, was founded on May 22, 1859. Old Colorado City’s buildings in existence today are still standing from 155 years ago. Old Colorado City uses the building much as they were used originally. The ground floors are shops and stores, restaurants and bars; the upper floors are offices, meeting rooms and residences. This unique shopping city, now with over 120 shops and restaurants, is also dog-friendly, with many shops and restaurants exhibiting special signs welcoming your pet. Every first Friday of the month (this year from May – Dec) they host a FirstFriday ArtWalk which is a self-guided visual arts walking tour featuring art galleries and open artist studios along Colorado Avenue between 23rd and 27th Streets. As many as 100 art pieces may be viewed for purchase in just one location in Old Colorado City’s art galleries. 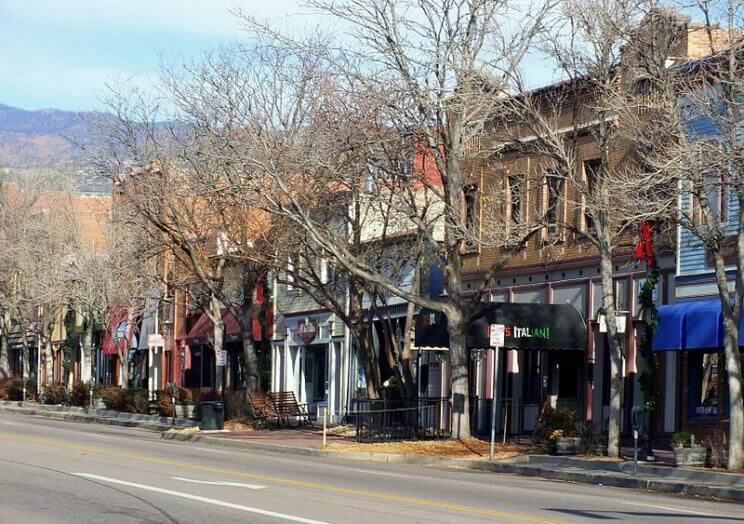 Colorado Springs’ largest concentration of galleries is found within three city blocks in Colorado Springs historic district. Old Colorado City is located at 2324 W Colorado Ave, Colorado Springs, CO 80904. Feel like you are experiencing a scene straight out of Nicholas Sparks’ “The Longest Ride” by riding horseback through Colorado’s most scenic trails. 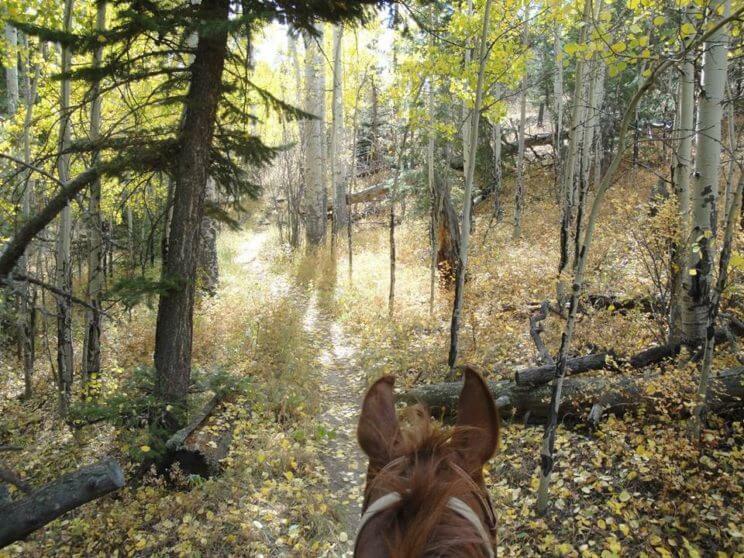 Scenic horseback riding trips are known to be relaxing and a great way to de-stress from modern life. Sombrero Ranches offers scenic horseback riding trips through natural forests at their Estes Park Ranch, through mountain trails at their Steamboat Springs Ranch, through White River at their Meeker Stable and through beaver ponds, mountain streams and through lush forests of pine trees and mountain flowers at their YMCA of the Rockies Snow Mountain Ranch. Colorado is known for its amazing festival culture. Throughout the spring and summer many festivals are held in various locations and cities. 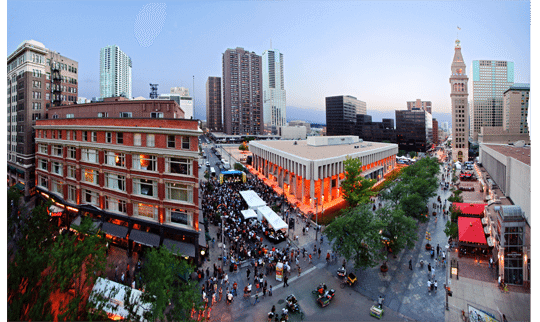 Experience outdoor festivals this spring that focus on food, art, music, shopping and more. Upcoming festivals include: Indian Market & Powwow, Five Points Jazz Festival, Denver Day of Rock, People’s Fair, Denver Chalk Art Festival and more. For a complete Festival guide check out our Spring Festivals 2017 Colorado article. Want to share with our readers your choice for something to do this Spring in Colorado? Comment in our thread below! Great advice! Colorado Springs is always beautiful in the summer and I bet some locals don’t even know these opportunities exist! Are you referring to Rocky Mountain National Park? I did not even know some of these things existed here. I am so happy I stumbled on your page. Can’t wait to explore. Yay!